Fig. 4. 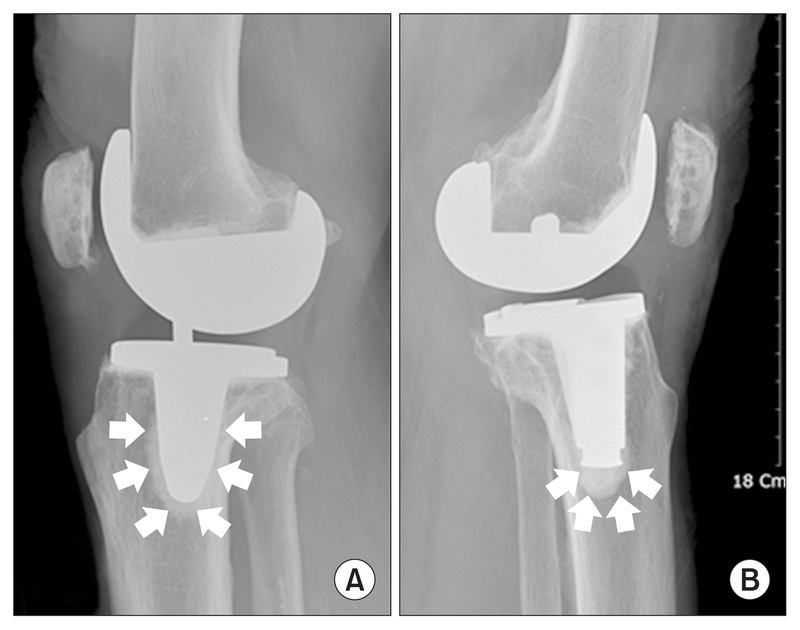 (A) Cement filling (arrows) around the tibial stem of PS150 RP (closed box type) implant suggesting restriction of cement spread. (B) Deeper cement penetration into the medullary canal of tibia in LPS-Flex (open box type) implant.